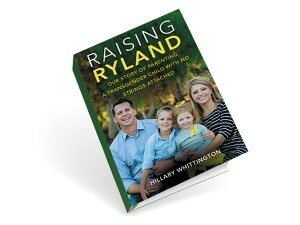 Raising Ryland details the story of Ryland Whittington and her parents’ discovery of the unique child within the seemingly healthy, happy baby girl they gave birth to. Ryland’s parents share the path they traveled to learn that their child had been born profoundly deaf. 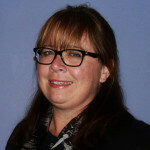 While managing the decisions and lifestyle changes that arise from this discovery, they also learned that their child had more to share that would upset the balance of their lives. To accommodate Ryland’s communication needs her parents immediately learned sign language and pursued cochlear implants. As this new found communication opened up Ryland’s world, it provided the opportunity to begin to clearly share an internal discomfort that previously would not have been possible. Ryland gained the ability to express that she was not a tom-boy, rather she felt she was a boy. Ryland had begun to exhibit discomfort with feminine clothing prior to her second birthday and steadily from there displayed disdain for all things associated with girls and an affinity for dressing as a boy, playing with “boy” toys and being addressed as a boy. What makes this story all the more unique is that Ryland’s parents’ acceptance of these facts allowed the transition from female to male prior to the completion of kindergarten, allowing Ryland to be his authentic self at an incredibly young age. What I found most intriguing about Ryland’s story was the insight gained by identifying at such a young age that he was experiencing gender issues and its effect on his daily life, his parents’ struggle to have the world accept Ryland and frankly the turmoil that was created by Ryland and his parents’ decision to embrace this change. Raising Ryland provides a very honest introduction to a person, such as myself, who may have little familiarity with transgender issues better understand the challenges of the transgender child and their families. Also, it is an education to learn of the difference that the parent’s embracing this change made to this child. The Whittingtons explain in layman’s terms the history of the challenges that Ryland presented, their self-education on transgender individuals, their support of their child and their transition into expert motivational speakers on the matter of transgender youth. With the conversation of gender identification being made incredibly mainstream currently these videos and the book are amazing tools to enlighten the inexperienced and hopefully share with their families so that we are raising children to be accepting, understanding and informed about the challenges others are facing. Through this type of education we foster a heightened level of comfort thereby expanding your ability to interact and be inclusive of more communities and cultures – the payoff personally and professionally is incalculable.